We’d like to thank Nate Sterling of Magnum Star News for selecting Geebo as one of the top craigslist alternatives. 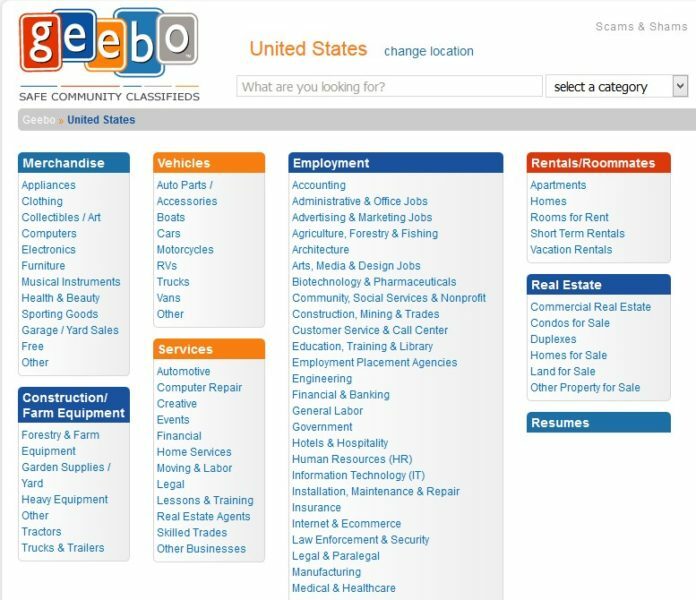 In his article entitled ‘5 Best Alternative Sites to Craigslist’, Mr. Sterling states that in his opinion Geebo is one of the best classified websites. With all due respect to our esteemed competition mentioned in Mr. Sterling’s list, we like to think that we are the best. In the close to two decades that Geebo has been in business, we’ve been an industry pioneer in many aspects. For example, we are very proud of the fact that we manually review our ads in order to greatly lessen the possibility of scams and illegal content. Geebo has always prided itself on not only being the safer community classifieds but also being a family friendly classifieds. While some classifieds sites have made their money through illicit means, Geebo has refused to follow that path. And while the other classifieds sites mentioned in Mr. Sterling’s list have their own good qualities, a number of them still have personal ad sections. As craigslist and Backpage have shown, unmoderated personal ads can be abused by online predators and human traffickers. As an industry leader, Geebo removed its personal ads section in order to avoid putting our users in danger years before it became an issue with other websites. While some see us as a craigslist alternative, we see ourselves more as the standard bearers for the online classifieds industry. ← Is Armslist fueling Chicago’s gun violence?